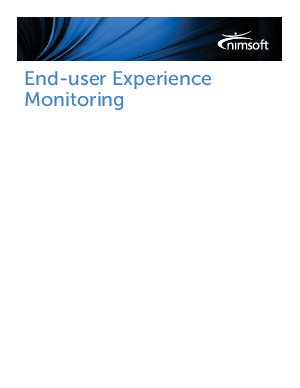 According to Forrester Research, "end-user experience has to be the benchmark for enterprise application performance*," which of course makes perfect sense, given that enterprises are spending billions of dollars to enable productivity and automation gains as specifically directed by end-users. These processes are critical to the bottom line operation of a business and in most cases end-user performance degradation can be directly correlated to a negative business impact. Read to find out more.